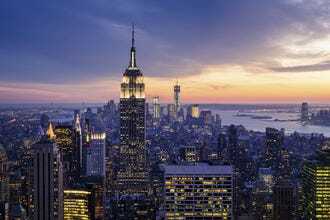 Empire State Building Named Best Place to Propose! Few moments in life can match the romance surrounding a proposal, and that's why we set out to find the best places on the planet to pop the question. For the last four weeks, USA TODAY 10Best readers have been voting daily in the category Best Place to Propose, and the results are in. 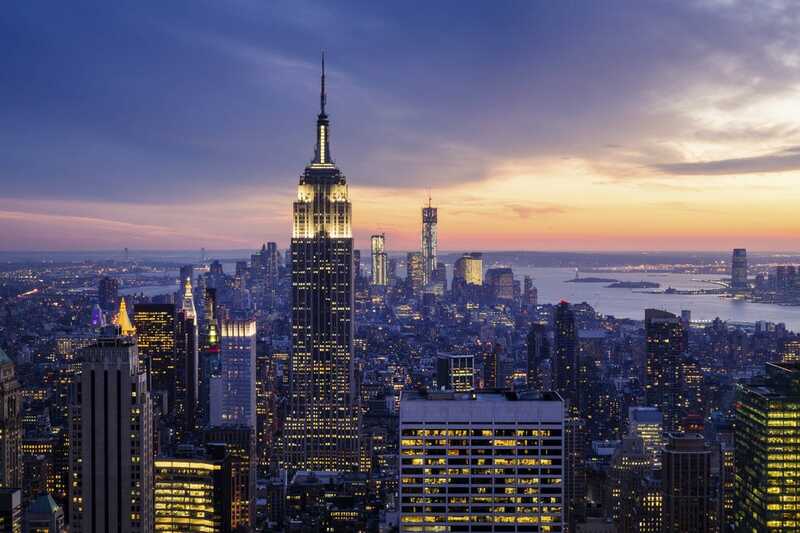 Mention New York City and the Empire State Building is sure to spring to mind. Since its inauguration on May 1, 1931 it has been toured by millions of visitors and has been the scene of hundreds of weddings, as well as the site of scores of movie and TV scenes. The wrap-around outdoor observatory on the 86th floor offers scintillating views of Central Park, the Hudson and East Rivers, the Brooklyn Bridge, Statue of Liberty and beyond. For a bird's eye view of up to 80 miles beyond the Big Apple, the manually operated elevator takes visitors to the 102nd floor. 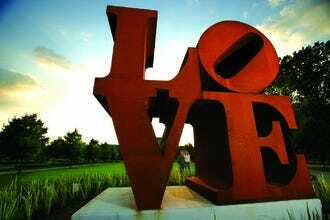 A popular site for marriage proposals, the Love Sculpture sits outside of the Indianapolis Museum of Art. Created in 1970 by artist Robert Indiana, it was obtained by IMA in 1975. Consisting of the letters LO over the letters VE, the original image, with green and blue spaces backing red lettering, served as a print image for a Museum of Modern Art Christmas card in 1964. Although the words "peace and love" were especially significant in 1960s culture, the artist has said that his creation was inspired by the words, "God is Love," based on the Christian Science church services he attended as a child. 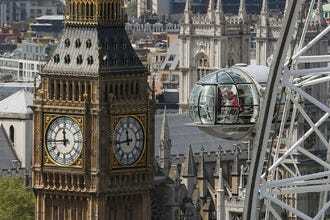 To kick off the millennium, architects David Marks and Julia Barfield designed a giant observation wheel in London to show off the English capital. The cantilevered observation wheel allows viewers a breathtaking view of the city from the safety of an enclosed capsule suspended over the Thames. The rotation takes 30 minutes and refreshments are served. Trips can be customized in private capsules and tailored for special occasions. The magic of the Eiffel Tower has been legendary since its silhouette debuted over Paris in 1889. Designed by Gustave Eiffel to celebrate the Centennial of the French Revolution, it has drawn millions of visitors from all over the world. The iconic landmark offers plenty of places in which to propose - without having to scale to the top to do it. The first floor offers a breath-taking transparent floor with stunning views of what lies below, while the second floor has panoramic views as well as glass elevators to take visitors to the top of the tower. Two restaurants offer a chic ambiance as well as haute cuisine and a champagne bar at the top serves a variety of wines with which to toast any occasion. Think of Bora Bora and visions of soft, sandy beaches, rippling turquoise seas and aqua-centric luxury resorts undoubtedly spring to mind. 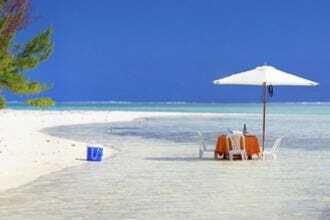 Probably the most celebrated island in French Polynesia, it is a favorite honeymoon destination. The perfect romantic escape can be planned via local tour companies for a picnic outing to one of the many small islands, or "motus" surrounding the peaceful lagoon. Along the way, activities may include shark and sting ray feeding, snorkeling around a coral garden, followed by a delectable lunch prepared by guides on a charcoal barbeque and served in a romantic setting. The steep, 277- mile-long canyon carved by the Colorado River in Arizona mesmerizes roughly five million visitors a year and can be accessed via two main points - the South Rim and the North Rim. 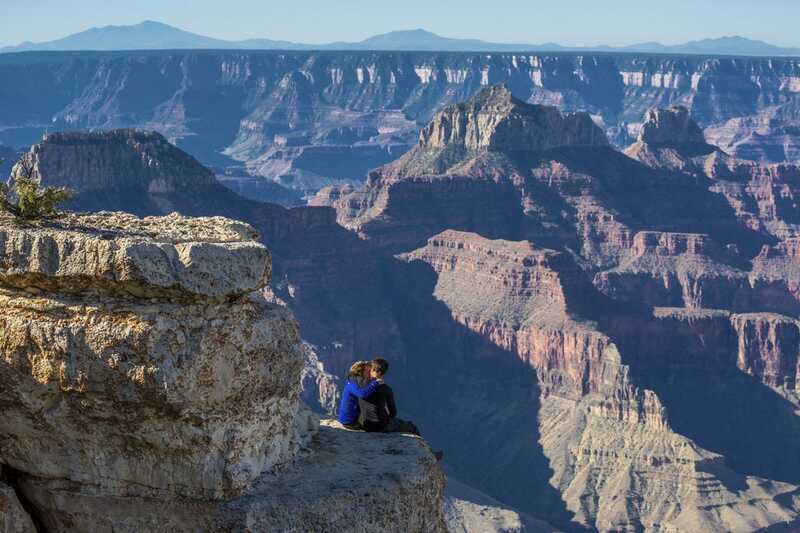 The more frequently visited South Rim is easier to navigate and has more facilities, such as Grand Canyon Village and most of the park's lodging and camping services. Also located here are restaurants, stores and museums, along with a small nearby airport and railroad depot. The North Rim, at 1,000 feet higher has a more alpine feel and fewer facilities, yet boasts the more spectacular views. The canyon can be visited by hiking, riding a mule, bike, rafting on the Colorado river, or flying over it, which offers the most comprehensive, as well as spectacular, views. A perennial favorite with nature lovers and outdoors enthusiasts, Colorado's Rocky Mountains (known also as the Rockies) offer rugged mountains showcasing magnificent landscapes, roaring rivers and twisting trails, perfect for nature lovers. Horseback riding presents yet another adventure as horses can travel distances which would be too much of a challenge for hikers. 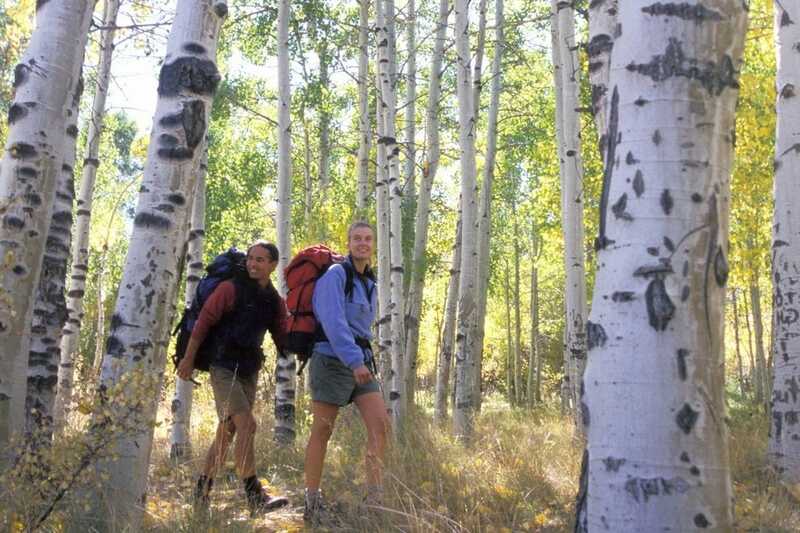 With 54 peaks to explore, there are other ways to get to the summit and get that "Rocky Mountain high." Free gondolas glide between Telluride and Mountain Village and offer breathtaking views. Visitors can also drive to top of Mount Evans and Pikes Peak, or board Pikes Peak Cog Railway to the summit. Winters promise a chilling scene, beckoning skiers and snowboarders to its majestic snow capped peaks, champagne powder and exhilarating downhill runs. 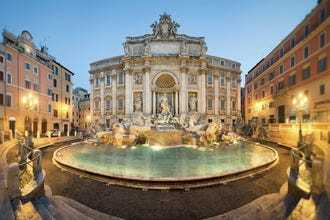 Eventually, all roads will lead to the Fontana di Trevi in Rome and no matter how old a person is, the soundtrack from the movie, "Three Coins in a Fountain," may come to mind. The Eternal City lives up to its romantic image in this fountain which dates to 19 BC as the Aqua Virgo (Virgin Water) aqueduct. According to legend, it was named in honor of a young Roman girl who led thirsty soldiers to this spring. Today, the impressive travertine monument lures visitors from all over the world to toss a coin in the fountain. Every evening, approximately $4,000 is collected and given to charity. According to tradition, if you turn your back and toss a coin over your shoulder, it will ensure a return to Rome. Throw a second coin if you're in search of love and a third one if you're hoping to get married. Nothing spells amore like the romantic, shimmering canals of Venice with its majestic piazzas, palaces and historic churches. 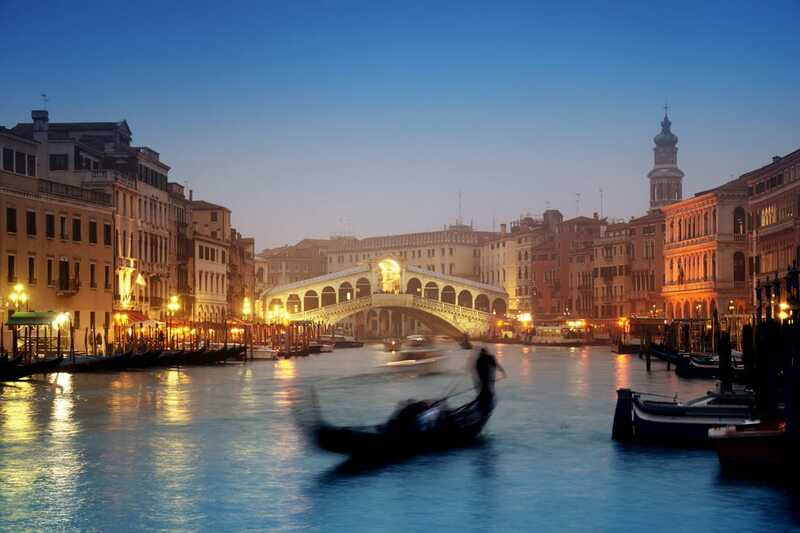 Visitors can book a gondola for two and glide along the Grand Canal past colorful mansions, medieval villas and historic landmarks, while embracing the beauty of this storied city. As couples sit back and take it all in, they can allow themselves to get lost in dreamy Italian love songs as the gondolier serenades them with perennial Italian favorites. 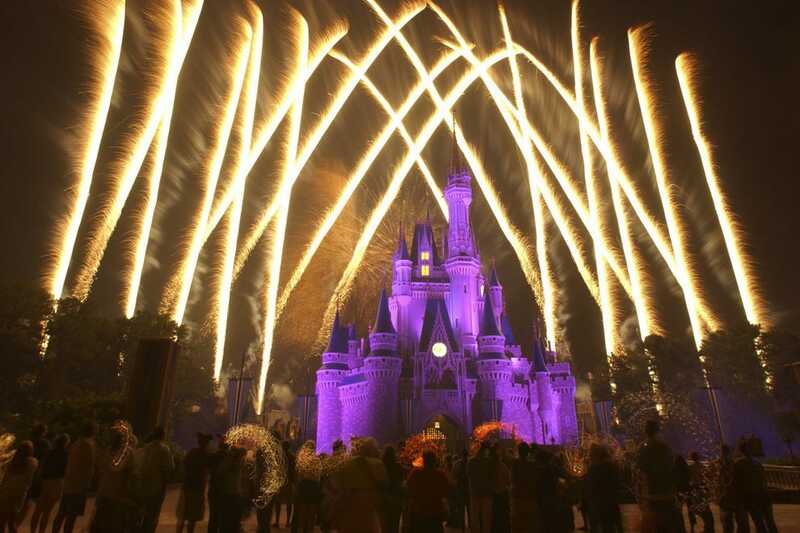 Fairytales do come true for visitors at Orlando's internationally renowned Magic Kingdom. 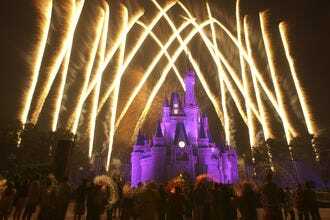 Six whimsical "lands" offer plenty to do with classic attractions, magical fireworks and colorful parades with beloved Disney characters cavorting throughout. Places to pop the question abound, including Cinderella's Castle or, for the more daring, just before the plunge on Splash Mountain. It was a tight race between the top two finishers – both in the U.S., proving you needn't fly overseas to find romance – but in the end the Empire State Building took home the title. This Big Apple icon is no stranger to romantic gestures, both in reality and in fiction (think Sleepless in Seattle and Gossip Girl), so it's no surprise our readers picked it as the best place to get down on one knee. A panel of experts picked the initial 20 nominees, and the top 10 winners were determined by popular vote. Experts Ivy Jacobson (TheKnot.com), Susan Moynihan (The Honeymoonist), Michelle da Silva Richmond (10Best Travel Expert) and Lydia Schrandt (10Best Editor) were chosen based on their extensive knowledge of romance travel. Additional nominees for Best Place to Propose included a sunset cruise in Key West; balloon flight in Napa Valley; Santorini, Greece; Tulum in Riviera Maya; Golden Gate Park in San Francisco; Inspiration Point in Grand Teton National Park; Iguazu Falls in Argentina and Brazil; above Las Vegas; Thomas Jefferson Memorial in Washington and the Getty Center Gardens in Los Angeles. 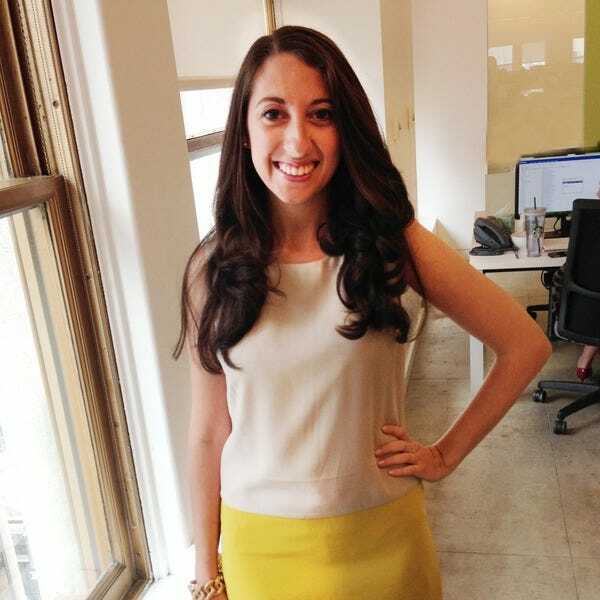 As Associate Editor at TheKnot.com, Ivy Jacobson creates, edits and reports on news and planning content for TheKnot.com and delivers weekly content to Yahoo, The Huffington Post and more. Her articles and reporting have been featured on Yahoo, MSN, The Huffington Post, Us Weekly, People and the LA Times. Ivy is a graduate of Florida State University with a concentration in English Literature, and a graduate of Pace University with a Master's Degree in Publishing. Prior to The Knot, Ivy's writing could be found at AOL, Bustle, HollywoodLife and Plum Hamptons magazine. Ivy grew up in Florida and currently lives in New York City. And although she loves to travel, she relishes in the fact that her apartment is only a 10 minute walk from Central Park. 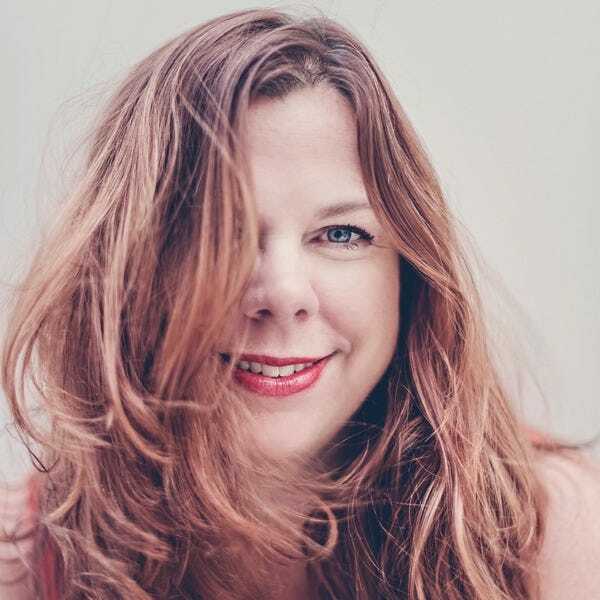 Romance travel expert Susan Moynihan honed her skills as travel editor for Conde Nast's Elegant Bride and editor in chief of Destination Weddings & Honeymoons. She now travels the world as The Honeymoonist, seeking out the absolute best in romantic destinations, hotels and extras, and planning custom travel for special occasions and destination weddings. Her eye for cool, paired with deep connections around the globe, allow her to create exceptional experiences from Mexico to Malaysia. Susan's other passions include vintage needlepoints, guacamole and rock and roll. Michelle da Silva Richmond is an award-winning travel editor and member of the Society of American Travel Writers and other journalism organizations. She has written hundreds of articles for newspapers, consumer and trade magazines and in-flight publications. 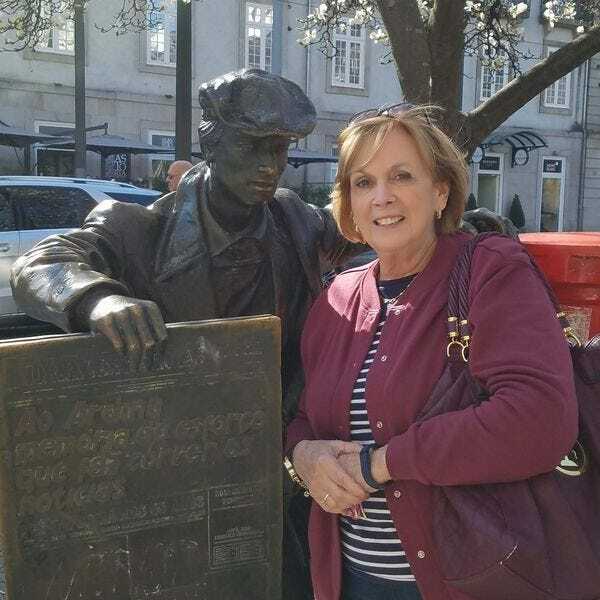 In addition, she has co- authored and contributed to many guide books and was a weekly travel columnist for a metropolitan Connecticut daily newspaper. Growing up abroad, combined with a colorful career as a Pan Am flight attendant fueled her wanderlust and passion for travel. She lived in Mexico City for nearly 20 years and has visited nearly 100 countries. Her bags are always packed. 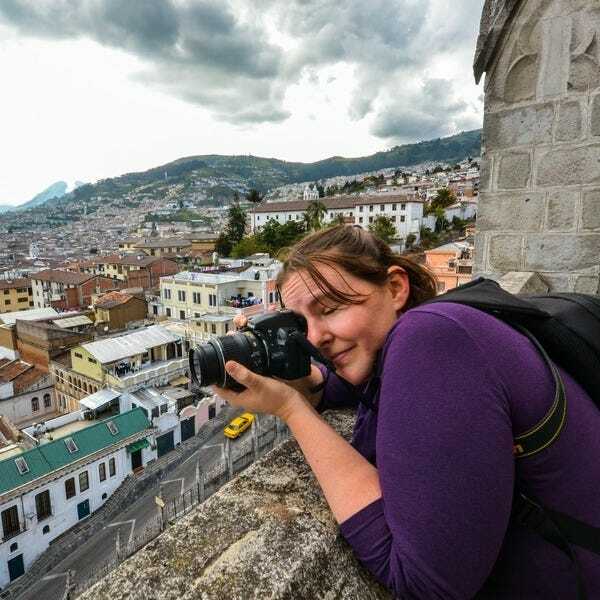 10Best Photo Editor Lydia Schrandt has seen a good portion of the world with her traveling companion and always enjoys savoring a new place a deux. Her camera lens is often trained on the most beautiful spots of a romantic destination, but she never forgets to pack away the gear and just enjoy the destination as any lucky couple might.